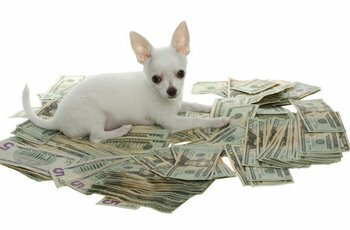 BOISE, Idaho, (Oct. 4, 2010) — Payment reimbursements just became more convenient for pet owners with the introduction of the new Pets Best Direct Deposit program. The innovative service allows Pets Best policyholders to quickly and easily file their claim online, and once approved, reimbursements can be deposited directly into their bank account. Pet owners typically pay their veterinary bill at the time when services are rendered, and then file a claim for insurance reimbursement. The addition of this program makes Pets Best the only pet insurance company to offer a fully automated simple, fast and convenient online claims submission and reimbursement process. All Pets Best Insurance customers are eligible for the Pets Best Direct Deposit reimbursement service. Policyholders who opt for this program can update their reimbursement information through the Pets Best Insurance customer portal. Customers who prefer to continue filing their claims via mail or fax and receiving their reimbursement in the form of a paper check can continue to do so. Pets Best Insurance offers three standard plans for accidents, illnesses and injury: The Pets Basic plan, which comes with a $100, $250 or $500 deductible; a $2,500 per incident limit and a $42,500 lifetime limit, the Pets First plan, which comes with a $100, $250 or $500 deductible; a $7,000 per incident limit and a $100,000 lifetime limit, or the Pets Premier plan, which comes with a $250 or $500 deductible; a $14,000 per incident limit and a $100,000 lifetime limit. • Simple, fast and convenient online claim submission and reimbursement – most approved claims processed and paid within 5 days or less.